Welcome to the Little Green Man News page, where we talk about all the latest goings-on in our Nursery and Kids’ Club along with recent developments in childcare and education in the UK. In a week of graduation preparation for our pre-school class of 2018, Headteacher, Ms. Drew (Rosanna’s mum) came to visit the nursery to tell the children a little bit more about their next big steps. The children then went on to visit local primary schools, George Tomlinson and Gwyn Jones to get a taste of what primary school is like. The first day of school is undoubtedly a key rite of passage. This is the start of a new adventure: playing and interacting with new friends, sharing, taking turns and settling into a new routine. As the big ‘first-day’ approaches, we have some recommendations for parents. Being good at such skills at this stage is far more important than knowing letters or numbers or being able to read. We would also encourage parents to take on board the value of “chatter” with your child – share a book or talk over the breakfast table. This naturally enriches vocabulary and gives your child important opportunities to ask and explore meaningful questions. During your child’s first year in school, much time will be spent in learning to read and he or she needs to know that this is fun and worthwhile. Your child will naturally copy you so it is important that you are seen reading and enjoying books, newspapers and magazines rather than just engrossed in screens. Make reading fun – cuddle up together, enjoy a book together, talk about the pictures, ask questions and involve your child. Common concerns of children before starting school often centre on food and going to the toilet. Reassure your child that they will be able to use the bathroom whenever they wish and prepare yourself that your child might have eaten very little for lunch – you should have a large snack to hand when they leave school. Starting school is usually an exhausting business — emotionally, physically, socially and mentally. Your child will be spending every moment trying their hardest to fit into a new environment. Don’t be surprised if they come home feeling very tired and reluctant to talk about their day. This is not the time for playdates and organised after school activities – feeding the ducks is far more valuable followed by a meal, a bath, a cuddle, a story and, above all an early bedtime. If you are lucky enough to have reports of school, take any negatives with a pinch of salt. But check things out, however trivial they may seem, with a teacher, so that you can be reassured. Never let things fester. Ultimately, an excellent education should be a complementary partnership between parents and teachers. A child’s year splits fairly neatly into thirds: a third at school, a third asleep and a third awake at home or on holiday. Irrespective of the quality of a school, a child’s home life is of key importance; it is the critical determinant of their academic success. Your child may have started on a new journey but your work is far from finished. Experience play at home – building LEGO spaceships, cutting, gluing and sticking, baking etc. Pre-school went on a trip to Leytonstone fire station to learn about fire safety, fire engines and the role of a fire-fighters. 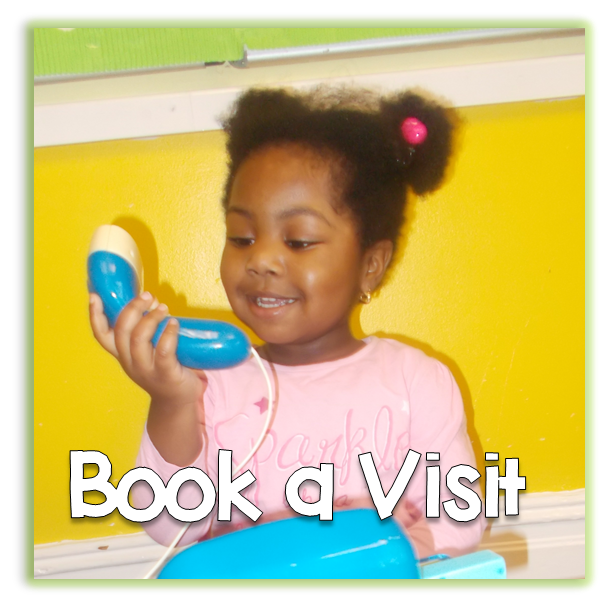 Pre-school programs can be enriched through the inclusion of carefully planned field trips. Firsthand experience can provide children with information and a level of understanding that adds elements of realism to their play, and enriches their overall learning. The RAF celebrated its centenary in London with its biggest military display, involving 100 aircraft. The royal family gathered on the balcony of Buckingham Palace, along with thousands of supporters, to watch the display. To celebrate Pride week, pre-school enjoyed wearing rainbow colours and singing in our rainbow parade. They also enjoyed the discussions we had about being unique, different families and proud of who we are! Here are 7 recommendations for how parents can continue to get to know their children, and how to celebrate their lives and provide encouragement to enable them to grow and develop into happy, successful adults. Take time each day to observe your child up close and from afar. Look for changes. Look for new skills. Experience your child as a person by interacting with them. 2. Listen and Ask Questions. Discovery includes truly listening to your child. It means inquiring about how they think and feel about events in their life. The more you can listen with openness and acceptance, they more you will discover and at the same time affirm your child as a unique individual. Questions should be asked for the purpose of learning more. Find out what lead them to those feelings and thoughts, and how long they’ve held those thoughts or feelings. This is the time to show interest and understanding, provide support, and volunteer guidance but only if requested or when it raises serious concerns. This is the fun part of parenting – watching your child be a kid. Where they’re playing a game, drawing, playing music, performing, learning a new skill, showing off a physical feat or attempting comedy, all you have to do is watch, enjoy, and celebrate with a smile, applause, and a pat on the back. Provide praise and encouragement. Avoid being a critic – that’s the job of teachers and coaches, and your children will surely get criticism from peers as well. 4. Engage In Child-Directed Play. Playing is good for people of all ages. It reduces stress, promotes health, and is just plain fun. When playing with younger kids as well as older children and teens, let them direct the play. Join in and have fun. Let toddlers and preschoolers make up the rules for games if they want. Get in touch with your inner child and enjoy along with them. 5. Expose Your Child To Many Different Activities. 6. Show Patience and Understanding. No matter the situation, patience and understanding are always good to maintain. While dealing with children can be frustrating, being patient and showing that you understand how they are feeling helps a lot. Try to model and coach patience along with encouragement in the affirming of their abilities. Talk them through the process step by step and cheer them along the way. Words of encouragement can be as simple as saying “I love you” and providing a smile or a pat on the back. Many young adults in my generation read The Prophet by Kahlil Gibran. I particularly enjoyed and still remember his passage on children. I think it provides a deeper understanding of the concepts I’m trying to impart in this article. This week the children from toddlers have been fundraising for Barnardo’s charity with our big toddle. Our sponsored walks were lots of fun but we felt we could do better so we invited all of our parents and grandparents along to an afternoon of fundraising activities. We had toddler appropriate games and activities including net a duck, potluck and face painting. Toddlers managed to raise an amazing £222 for Barnardo’s charity and we are very proud of our little ones in particular who displayed excellent listening and attention throughout the afternoon. This year’s theme for the big toddle is nature, to support this we made our own nature crowns using leaves, flowers and sticks that we found in the park. The children were really interested in looking at what they could stick to their crown and were happy with the results of this showing them off to their peers and parents at collection time. To top it off after the children had done a few laps of the park they were rewarded with a special Big Toddle medal to mark their achievement’s. This week the children had an introductory class to yoga. Preschool children learn best through play and yoga provides an ideal channel for these high-energy youngsters! In addition to the extensive physical benefits, yoga builds a foundation for healthy development of body and mind. Yoga increases coordination. Yoga poses strengthen muscles and maintain flexibility in youngsters. More challenging poses like donkey pose and tree pose help develop balance and coordination. Yoga improves concentration. Yoga poses require full attention to a child’s body, muscles and joints to properly execute each move. This focus brings attention to the here and now and helps prevent a wandering mind. These skills transfer to a classroom environment with students more alert and receptive to instruction. Yoga encourages a calmer mind. Focus and breathing create a winning combination for calming the mind and being able to release distracting or negative thoughts. Adults who practice yoga can attest to this benefit. Now just imagine how amazing it would be to learn these tools as a young child! Yoga alleviates stress. Can a 3-year old get stressed out? Well, tension often presents itself as temper tantrums in toddlers and preschoolers. Through yoga, children learn breathing exercises to help diffuse those emotional flare-ups during the day. Yoga promotes self-expression. Yoga for preschoolers is not a zen-like experience! Imagination and creativity take center stage as children imitate animals and express themselves in a non-competitive, nurturing environment. Early childhood science education can have significant positive effects on children’s educational outcomes as they move into full-time education. Introducing science from a young age results in the highest quality teacher-child interactions. Science helps form critical thinking abilities, concept development, helps children expand their ideas, and encourages them to use open-ended questions and advanced language. To celebrate fathers day, pre-school invited dads or someone special to take part in superhero Father’s Day event on Friday. With fancy dress optional, we were excited to see that many of our dads came dressed up…and everybody enjoyed superhero plate making, creating a mug with clay and decorating superhero themed cakes. Catherine and Sam Got Married! Our Group Manager for Infants, Catherine and one of our caretakers, Sam recently tied the knot! We wanted to officially wish them a huge CONGRATULATIONS and all the best wishes for a lifetime of love and happiness together. Meet Our Employees of the Season! We have an amazing team here at Little Green Man Nursery, and we’re really lucky to have them! But we can’t take that for granted, so we like to reward our staff when they’ve been exceptional. For spring 2018 we’d love to make a special public mention to Jade (Pre-school) Saira (Infants – student) and Magda (Toddlers Blue) who have really gone above and beyond lately to be our Employees of the Season. They each receive a special bonus, and of course the public acclaim! Do congratulate them when you see them! To celebrate the wedding between the Duke and Duchess of Sussex, pre-school threw a Royal Wedding Tea Party Celebration last Friday. Pre-School enjoyed making crowns to wear, decorated cupcakes with royal wedding cupcake toppers and they created royal wedding party flags and invitations for the royal wedding tea party celebration. Pre-School thoroughly enjoyed outdoor classroom day and took part in a range of different activities. They enjoyed making mudpies and potions in our mud kitchen, watering our plants in the planting area and making bubbles. Children created a cardboard box street of Leytonstone, used a variety of resources to make dream catchers and wind chimes. They made fat birdseed balls, participated in an obstacle course and enjoyed singing and dancing with the music man. Children created different coloured sand art, made different coloured pasta jewellery and created princess and wizard wands. They took part in clay leaf printing, explored musical instruments and enjoyed cooling down with a water spray as we were so lucky with the hot weather. They enjoyed having a story read to them outdoors and eating snack and tea outdoors. Children explored the construction area, small world toys and sand and water trays. Along with lots of fun and playing outdoors, the children learnt how to keep safe in warm weather and experienced the whole day outside. After their exciting day, everybody received a certificate. Well done to everybody who took part! It was a great success. Next Classroom Outdoor Day is on the 1st November. Outdoor Classroom Day is a global campaign to celebrate and inspire outdoor learning and play. On the day, thousands of schools around the world take lessons outdoors and prioritise playtime. In 2017, over 2.3 million children worldwide took part, more than 580,000 of those were in the UK and Ireland. When learning is taken outdoors it leads to some powerful impacts: Children’s behaviour improves, whole classes are excited to learn, and individuals who feel inhibited by the curriculum often thrive in an outdoor environment. When adults think back to their own happiest memories of childhood, they frequently recall the joy of playing outdoors. Play is not only central to children’s enjoyment of childhood, but teaches critical life skills such as problem-solving, teamwork and creativity. We all know what happens when the hungry caterpillar eats lots of food, but have we ever seen it? The children at Little Green Man did! As part of their learning about the famous book and discovering the fantastic things that happen in spring, the staff at the nursery created a caterpillar sanctuary and watched as their mini-beast friends turned from pupa to cocoon. Today they broke out as beautiful butterflies, which the children set free in our front garden area and watched as they joined nature. Raising money for Save the Children – the Peppa Pig way! Little green man children took part in a sponsored Peppa Pig muddy puddle walk this week. The children put on their wellies and warm clothes and went for a stroll through the park, jumping in muddy puddles, just like the most famous British pig would herself. The money raised has been donated to Save the Children, who gives children a healthy start in life, the opportunity to learn and protection from harm, all around the world. Actually at Little Green Man there were six little ducklings and they were very cute. The Pre-School group has been looking after duck eggs for last few months as part of their learning on spring and life-cycles, keeping them nice and warm, and safe. Last week the eggs hatched and Pre-School has been learning about taking care of living things and caring for them, which is a lovely way to learn more about understanding the world. The ducklings have now gone quack quacking to their new home of a farm in the Essex countryside. The two-year-olds in Toddler Room 3 spread out their picnic blanket and brought in their favourite stuffed animals, before having their lunch with their furry friends. Along with their picnic, the group enjoyed activities with their specially made touch trays created to look like a mini part, discovering new textures and promoting discussions around the topic. Pre-School invited all their mums to nursery today, to celebrate Mothers’ Day this year and enjoy activities and baking with their little ones. decorated biscuits and got artistic by creating clay models. Mothering Sunday came early this week with a little cream tea was serves with everyone enjoying scones and juice. Happy Mothers’ Day to all our parents and to all mums. Even from birth, girls and boys are treated differently, so it is unsurprising children as young as four can have defined ideas about what jobs are suitable for men and women, and whether ‘being smart’ is determined by gender. Baby girls are often dressed in pink with boys in blue. Studies show baby boys are bounced in the air more, with raspberries blown on their tummies and baby girls get more cuddles. As they get older, boys get practical clothes and girls get ‘pretty’ clothes. It is not long before boys are being bought train sets and cars and girls given dolls and toy cookers. Boys are called assertive and when the same behaviour is displayed by girls, they are called bossy. Boys are told to ‘man up’ when they cry while girls are comforted. It can be hard to combat a lot of this gender stereotyping as it seems to be ingrained in our daily lives. However, with many attitudes being formed at a young age, it is vital to challenge these stereotypes early on, with nurseries playing a huge role in ensuring children are not limited by assumptions about gender. Toddlers wrapped up warm this week and went to go an visit the local farm. The boys and girls in Rainbow Room have been learning all about different types of animals this months; from pets to zoo animals, from jungle beasts to farm animals. To help spark the children’s imaginations, they grabbed their wellies and coats and went to go and see the cows, pigs, sheep, goats and ponies. Little Green Man would like to wish all our parents, staff and everyone in the community a very merry Christmas and happy and health new year in 2018. This week children from all groups were raising money in a variety of ways for BBC’s annual charity event, Children in Need. Some of the groups decided to have a PJs for Pudsey day, where parents would donate to the charity, when they dressed their little ones up in their jimjams. Other rooms decided the best way was to bake some scrummy cakes and goodies, which they sold to all the mums and dads, with all the money going to help Pudsey with all his kids charities across the UK. Nothing quite like it for cooling the blood! It’s not just hippopotami, who get to enjoy the mud! As part of continuing improvements to Little Green Man, the nursery have installed a mud kitchen in the front garden. The new play structure enables the children to extend their messy play beyond just sand and water, adding extra textures. Children have been enjoying feel, see and smell the peat, dirt and mud and also explore for minibeasts and creepy crawlies. Aside from this brand new sensory experience, the installation allows children to meet the Understand the World section of the Early Years Foundation Stage for all groups; from infants all the way up to Pre-School. Along with the mud kitchen, the nursery has bought brand new, snazzy, waterproof ponchos to keep the little ones’ clothes clean and safe. Thursday is Music Man Day now at Little Green Man and once a week, Dave our music teacher will be coming to sing and play with the children. During the sessions he will be singing and playing with each of the groups, enjoying songs and nursery rhymes whilst strumming along to his guitar. The children also have the chance to help with the playing and Dave will encourage them to strum along with him. With our Pre-School group he will be playing games to start talking about music and notes and how music is put together. The children from all groups have a lovely time and each of them is looking forward to seeing him the next week. After her maternity leave Emily Snell – previously Emily Hawking – has returned to Little Green Man, to continue her role as Group Manager of Pre-School. Emily has been working at Little Green Man Nursery for the past five years and has been the Group Manager of our Pre-School section since 2014. She has been working in childcare for over 13 years and is not only qualified in Childcare, but also has a Level 2 in Principles of Business and Administration and a certificate in Special Needs Training. During her time off Emily got married to Steve and had a lovely little boy Ollie. Welcome back to LGM Emily! New Reception-year baseline tests for four-year-olds will be introduced from 2020, while SATs for seven-year-olds are to be scrapped from 2023. Children’s progress is currently measured between the end of KS1 and the end of KS2 but the Department for Education (DfE) has decided to introduce a baseline assessment for children when they enter Reception to assess their progress between the start of school and the end of KS2. The decision has sparked criticism and frustration from the early years sector which has described the move as ‘misguided’. Announcing the decision on 14 September, Education Secretary Justine Greening said: “A good primary education lays the foundations for success at secondary school and beyond. This year’s KS2 results showed our curriculum reforms are starting to raise standards and it is vital we have an assessment system that supports that. The Government has said the main focus of the new Reception-year assessments, which will take place in the first half-term of the autumn term, will be on skills which can be reliably assessed and which correlate with attainment in English and mathematics at the end of KS2, most notably early literacy and mathematics. A pilot and evaluation of the new assessment will be conducted in the academic year 2019/20. The DfE’s announcement follows a consultation with teachers and other stakeholders, launched last March. This September the Government will introduce a new Free Early Education Entitlement, offering up to 30 free hours for children over three-years-old. Broadly speaking, families are eligible if both parents/carers work over 16 hours per week and earn less £100,000 per annum each. Single parents qualify alone. It is important to note, that your child is eligible in the term following their third birthday, not the month as was previously the case. Little Green Man Nursery will be offering this Free Early Education Entitlement. If you would like to know more, please get in touch with the nursery and ask to speak to Mark. It was a bitter-sweet day today when we began to say goodbye to some of our Pre-School children, who will be leaving us to go to Big School. We’ve enjoyed having every single one and we wish them all the best of luck. Please do keep in touch! Tracy Brabin, who was elected MP for Batley and Spen at a by-election last October following the murder of her close friend Jo Cox, has been named as the new shadow childcare minister. She replaces Tulip Siddiq, who stepped down from the post back in January over the vote in Parliament on triggering Article 50. Since then the post has been vacant. Ms Brabin starred in Coronation Street as Tricia Armstrong between 1994 and 1997, as well as appearing in Eastenders and Casualty. She has also written scripts for TV series such as Shameless, Heartbeat and Family Affairs. They like to go on adventures with the children and have pictures taken with them. If you’re lucky enough to have a Weekend Friend staying with you, please take them wherever you go and take pictures of the fun that you have been having over the weekend. Last week each of our sections’ Group Managers awarded one of their staff members with Employee of the Season. This season Catherine gave the award to Carly Purchase, who works in Infant 2, for always going above and beyond; and always with a smile on her face. Magda Miszkiel was awarded the accolade in the Toddlers’ section by Hannah; for her hard work and excellent interaction with the children in Blue Room. Well done to all three of you and keep up the good work. To celebrate today’s bright and sunny weather, Red and Blue Room staff members Magda, James and Fatima decided to pack up their tea and have a picnic on the front garden. There were sandwiches, yoghurts and drinks galore passed out among the two-year-olds as they enjoyed the sunshine. A very excited pre-school group of boys and girls today met some of Leytonstone’s finest firefighters. Both Apple and Lemon room and Cherry and Grape room met 5 of the officers from London Fire Brigade, as part of this week’s topic talking about the Great Fire of London. The children played “Safe to Play or Stay Away”, explaining how certain objects can be dangerous and should be approached with caution or left alone completely, and some objects are fine to play with properly. Room Senior Katie donned some of the firefighter apparel, showing the kids how it was all fireproof, hard wearing and safe, including the boots, overalls and helmet. Then it was time to have a go in the firetruck seeing what all the equipment did and having some fun playing with the hose, turning the water on and off. Thanks for the London Fire Brigade for their help and for giving a fun and informative afternoon. Wednesday 19 April saw the first of Little Green Man’s Tea and Talk sessions, giving parents the opportunity to feedback on what they liked, what they might be concerned about and anything else that they wanted to chat about, all over a cuppa and a biscuit. Little Green Man has always had an open door policy, but this evening was set up to create a relaxed, friendly and sociable atmosphere, allowing parents to also meet each other and help to enhance our nursery community. Parents and carers came to talk about our new healthier option menus and said they were pleased that we had cut down on sugary snacks and were happy with the food we cook in our on-site kitchen. They discussed our funded places options; both the 15 hours for two-year-olds and the eligibility criteria for the new government scheme, which provides up to 30 hours of free childcare for certain families. Managers Lisa and Mark will be attending a course on this to find out exactly what this will entail, as it’s something we will be adopting later this year. Tapestry – our online platform keeping parents in touch with their children’s progress – was a big topic of coversation and everyone was happy to receive pictures, videos and updates throughout the week on what their little ones had been up to. All in all a productive and enjoyable evening was had and we are looking forward to our next one, but in the meantime our door is always open. This month Little Green Man’s newsletter In Touch went digital. 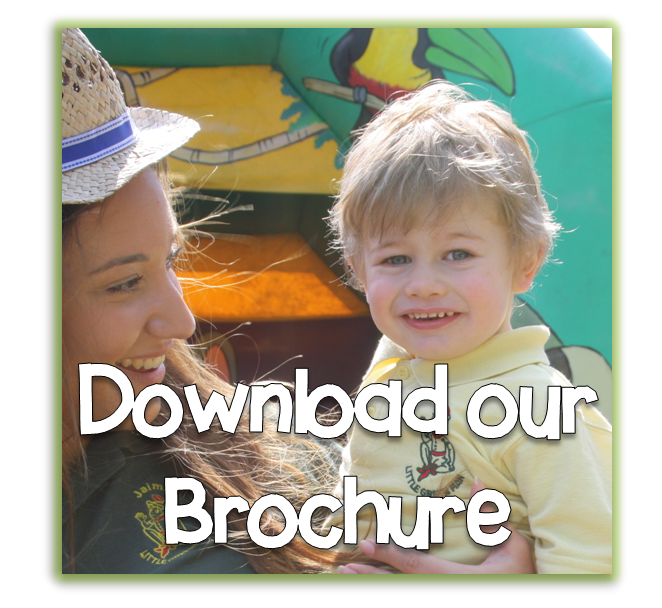 The email newsletter will still be tailored to each group (Infants, Toddlers, Rainbow Room and Pre-School) include all of the great information, events and news as the printed version, but with added extras, cool design and much more easily received. Now our parents and carers can read our newsletter on the go from their laptop, tablet or phone. This is just one more step forward into the digital age for Little Green Man. Recently we updated our website, created our Parent Zone page and implemented Tapestry to keep our parents up-to-date with all the goings on with their little ones, with observations sent straight through to their devices. There is more to come. Keep your eyes peeled! It is with a heavy heart that we announce that our dear Elaine Cini, will be leaving us tomorrow for pastures new. Elaine has been with Little Green Man Nursery for over 16 years and has been a fantastic member of our team. She will be sincerely missed by all; staff and children alike. Lainey, as fondly called by the children, has seen hundreds of LGM Allumni grow up and move down to Pre-School and then Big School. Her rendition of 5 Little Men is a classic and her warm, welcoming voice is recognisable by all #ho heard it. We would like to wish Elaine a fond farewell and all the luck in her future endeavours. It was a great Half Term at Little Green Man Kids’ Club this February, with lots of fun and loads to do. There was arts and crafts, trips to the park, cooking and of course Super Heroes Day. The great week came to a close with a fantastic dance lesson courtesy of the new performing arts club Make Believe, which is opening a branch in Leytonstone soon. The children had a great time and came out raving about what they had learnt. 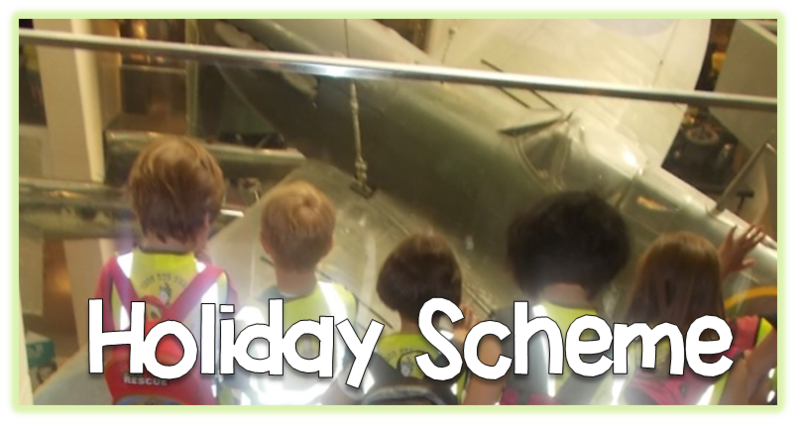 For more information about our Holiday Scheme, download the holiday pack here. Excitement was in the air all last week and all of the Pre-Schoolers at Little Green Man stuck on their wellies, wrapped up in their hats, coats, scarves and gloves and set off for the deepest, darkest wilderness of Hollow Ponds, hunting for bears. Pre-School’s book this week is We’re Going on a Bear Hunt and they were hoping to catch a big one! The groups left the nursery ready for action; there were logs to conquer, puddles to splash in and bears to be found. They got back to nature, playing in the leaves, running about the ‘ big, dark forest’, trudging through the ‘thick, oozy mud’, looking out at the ‘deep, cold river’ and skipping across the ‘long wavy grass’just like in the book. They weren’t scared! Event the ‘swirling, whirling snowstorms’ couldn’t stop the. Then the hunting really began. Tenacious and determined they searched high and low, under the bushes and over the ponds until finally they found what they were looking for. A Bear! Good old Freddy the Teddy, the Pre-School soft toy, had been lost in the forest and was happy to see his friends again. We would like to congratulate our three section Employees of the Season: Amy, Miriam and Jo for outstanding work over the past few months. January have been a month of books, nursery rhymes and fables, as all the children have been learning about a new story each week. As the month comes to a close and Toddlers move onto the their next theme, the group took a trip to Leytonstone Library to look at their favourite books. Later they were in for a treat, having a story read to them by one the lovely staff members there as part of the library’s Draw Me a Story, which takes place every Wednesday at 10:30. Everyone from children to staff had a lovely time and they’re looking forward to going back soon. It was a bitter sweet day today as we bid ‘adieu’ to Toddlers’ Group Manager, Saira Khan. After 7 happy years of working at Little Green Man, Saira and her husband have decided to relocate to Swindon. Saira has been in charge of the Toddlers’ Group for nearly 6 years, based in the Blue room for most of that time, and has looked after over a hundred little boys and girls, getting them ready for Pre-School. Saira has promised to come and visit and perhaps help out in the holidays, and we’re looking forward to seeing her soon. Until then…Good luck Saira and all the best! This month the nursery’s theme is Books and Nursery Rhymes, with each group learning about a new story each week. This week Pre-School as part of finding out more about their week’s fable, Three Little Pigs, staff decided to take the children to Brooks Farm to look for some real little pigs. The preschoolers wrapped up nice and warm and took there snacks with them, before travelling over to the farm in search on their piglet pals. Whilst there they also found some cows, geese, rabbits, peacocks and llamas. There was lots to see and talk about, which created a great discussion when they got back to Apple & Lemon and Cherry & Grape rooms, and lots of fun for the week! As Little Green Man pushes forward into 2017, the nursery has revamped its image and become more digital. First of all is a complete refurb on the nursery website and branding. Our little green man Peter has been modernised with a snazzy new logo. Now available on the website is PARENTZONE, where you can find out more about what’s happening with you children each week; including our weekly and monthly themes, which Duty Managers are on and when, and see what our on-site kitchen will be cooking on the menu this week. You’ll also get a link through to TAPESTRY, where you can login and find out more about what your child has been up to, how they’re progressing in their development and how much fun they’re having. If you don’t yet have your login, please don’t hesitate to get in touch with Mark. A Happy New Year to all our parents and carers and and happy and healthy 2017. The boys and girls at Little Green Man Nursery were very excited today as they had a special visit from the one and only Father Christmas. One by one every child from each room got the chance to sit on Saint Nick’s lap and those who could speak asked for what they wanted for Christmas. Luckily all the boys and girls have been excellent this year, so Santa Claus gave each one a special present from his sack, before going into the garden to jump back onto his sleigh, where Rudolph and the other reindeer had been waiting, and flying back to the North Pole to finish his Yule preparations – once he’d had a cheeky mince pie of course.